The mother of a fatal stabbing in 2011 made a tearful appeal for witnesses in her son, Devon Allaire-Bell's killing, a day before the seventh anniversary of his death. 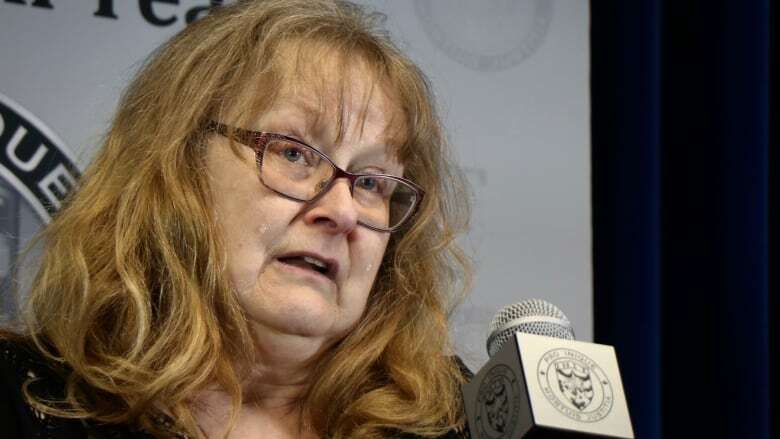 With tears streaming down her cheeks, Cynthia Allaire-Bell made an emotional appeal for witnesses to the killing of her son, Devon Allaire-Bell, on the day before the seventh anniversary of his death. "Please help bring these cowards to justice. If you know anything, or if you think someone knows something, please contact IHIT," said Allaire-Bell at the Integrated Homicide Investigation Team's headquarters in Surrey, B.C., on Monday. Devon Allaire-Bell, 19, and a friend were kicking a soccer ball around the field at Frank Hurt School in Surrey when they were approached by five people. A disagreement led to the pair being stabbed and beaten. Devon's friend was able to call for help and survived the attack. IHIT released images of the suspects and, according to Cpl. Frank Jang, police have spoken to many people in the investigation. However, officers still haven't identified all of the suspects. "As a mother, a father, a friend, how can you live with yourselves by letting these individuals walk free to do this again?" Allaire-Bell said. "Maybe one day it will be your son or daughter that lies there. Would you not want my help then? I need yours now." "The day Devon was murdered at 8:30 p.m. on a bright sunny Easter Sunday, it's the day that myself and my husband lost a part of ourselves. Never will we be the same people again," she said. 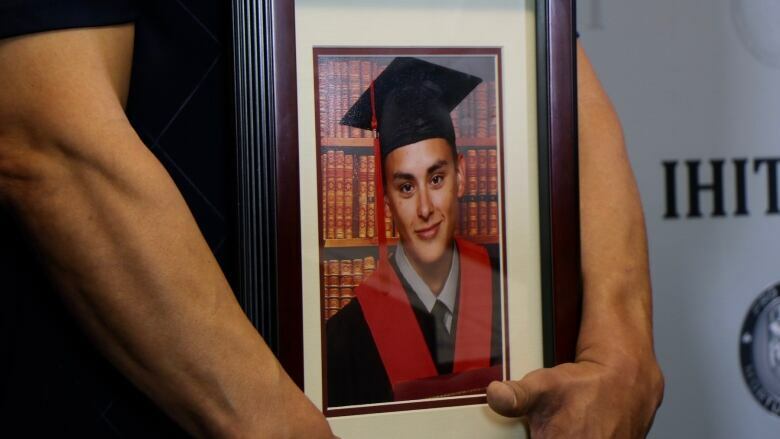 Devon's father, Wayne Bell, stood silently beside Allaire-Bell holding a graduation portrait of his son. 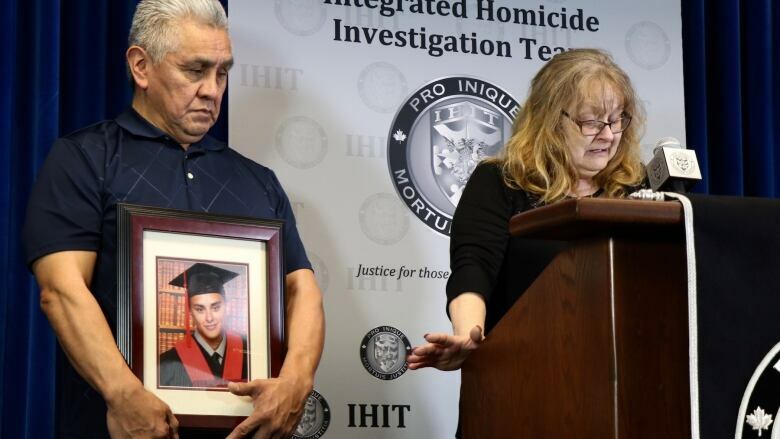 "It's heart wrenching to see that, and even after years of being a homicide investigator for IHIT, I don't get used to seeing that, none of us get used to seeing that," said Jang of the emotional appeal. "That motivates us to do our job and to seek answers and justice for families such as the Allaire-Bells." "After seven years, we're hoping that minds have changed, hearts have changed, and that people will do the right thing and come forward and help us solve Devon's murder and give closure to his family," he said. The family is planning a vigil at Frank Hurt School on Tuesday evening to mark the seventh anniversary of Devon's death. Anyone with information about the incident, or the suspects, is asked to contact IHIT, or Crime Stoppers at 1-800-222-8477.